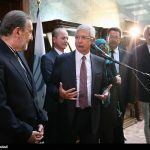 Claude Bartolone President of French National Assembly in Tehran / Photo - IRAN This Way: Become familiar with Iranian lifestyle! 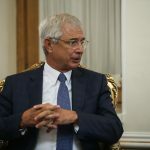 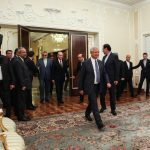 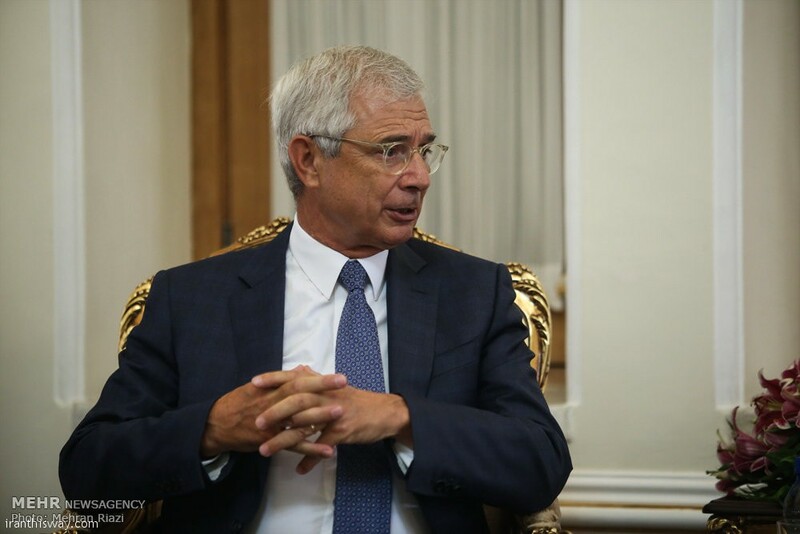 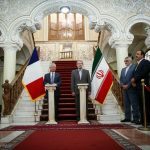 President of French National Assembly Claude Bartolone said on Wednesday that his visit to Tehran indicates fresh round of cooperation between Iran and France in light of nuclear agreement. 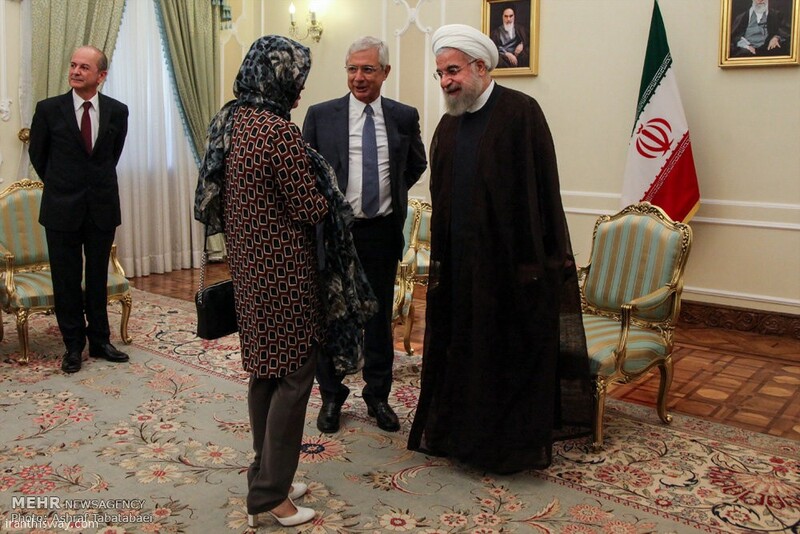 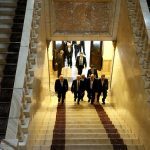 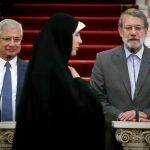 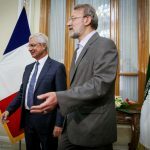 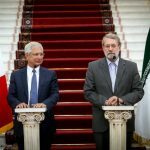 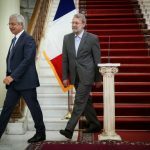 Iran’s Parliament speaker has received President of French National Assembly before a joint press conference on Tuesday. 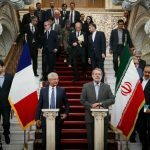 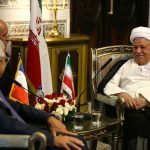 Rapid and accurate implementation of agreements between Iran and France stated in the roadmap of development of relations well contribute to better political, economic, cultural and scientific relations between Tehran and Paris, said President Rouhani in a meeting with President of French National Assembly. 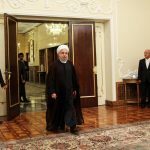 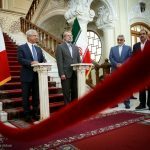 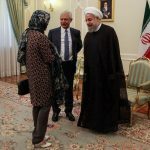 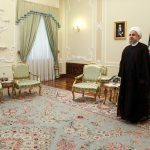 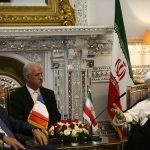 “We are witnessing progress in implementation of some of the agreements and their implementation can contribute to better Tehran-Paris ties,” said Rouhani on Tuesday, referring to the documents of cooperation signed between state and private sectors of the two countries during his first visit to France after the JCPOA. 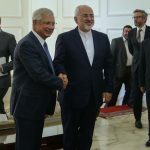 He also said that parliamentary cooperation is essential for development of ties between the two countries and added: “The nuclear agreements has created a new groundwork and we should use it in the best way we can”. 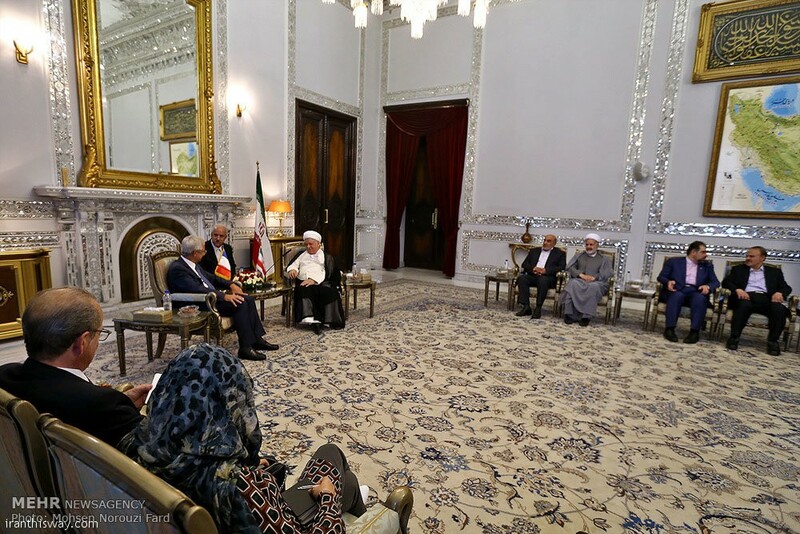 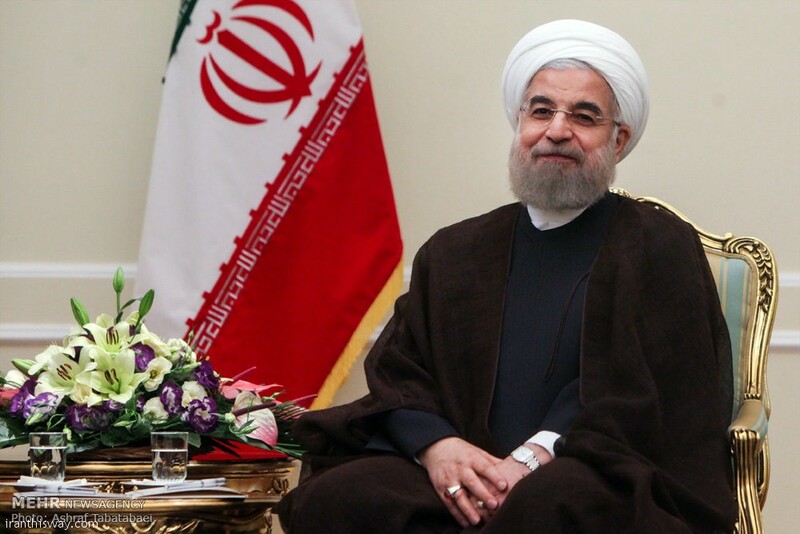 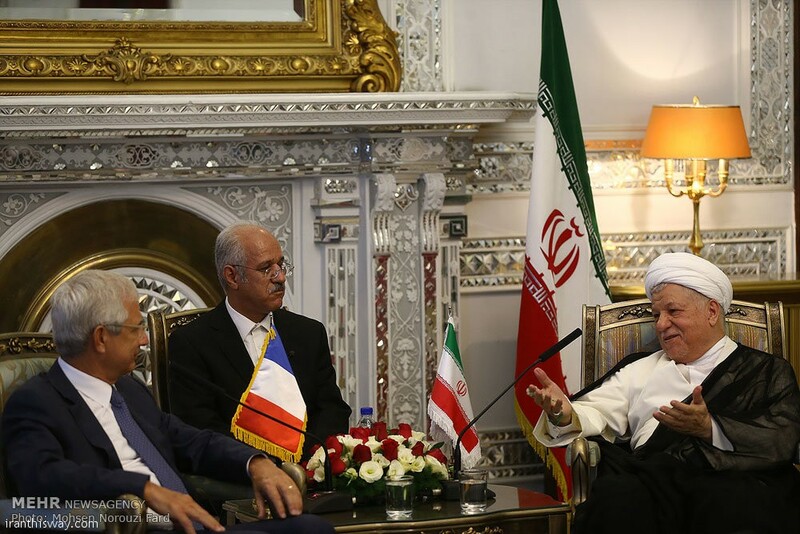 “There are a great number of attractions in the field of history, literature and culture between Iran and France and we are happy that friendly relations and political ties between the two countries have developed,” continued Dr Rouhani. 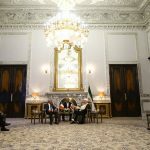 The goal of Islamic Republic of Iran in negotiations with 5+1 was to prove its rightfulness and serious resolve in having constructive interaction with the world, added the President. 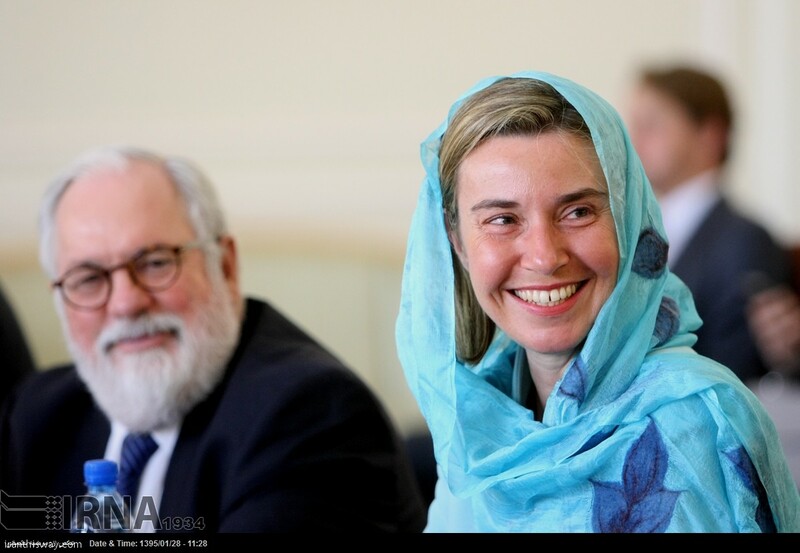 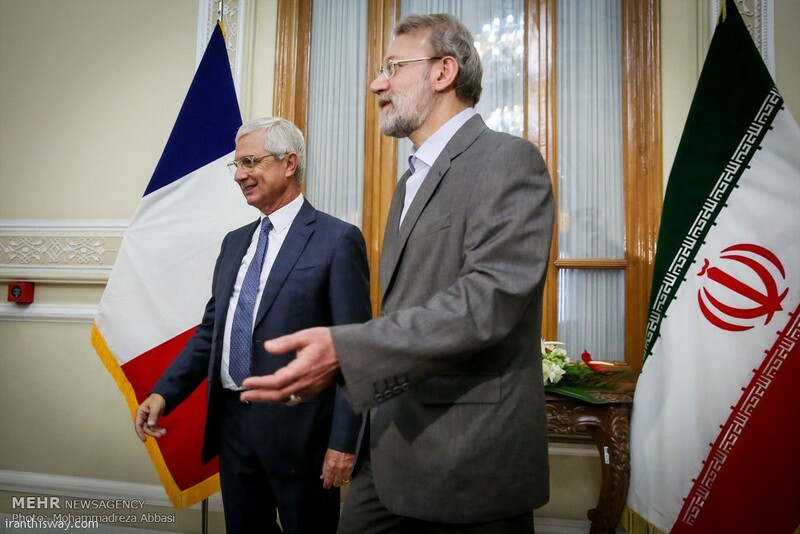 He also referred to the role that France played during the negotiations and said: “Full implementation of JCPOA commitments is a criterion for trust and development of ties” adding that Iran has fulfilled all of its commitments in JCPOA. 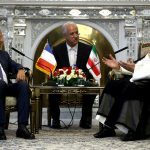 On terrorism, he said: “Iran and France should develop cooperation and consultation to resolve regional issues”, especially terrorism. 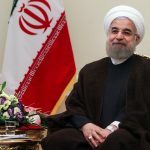 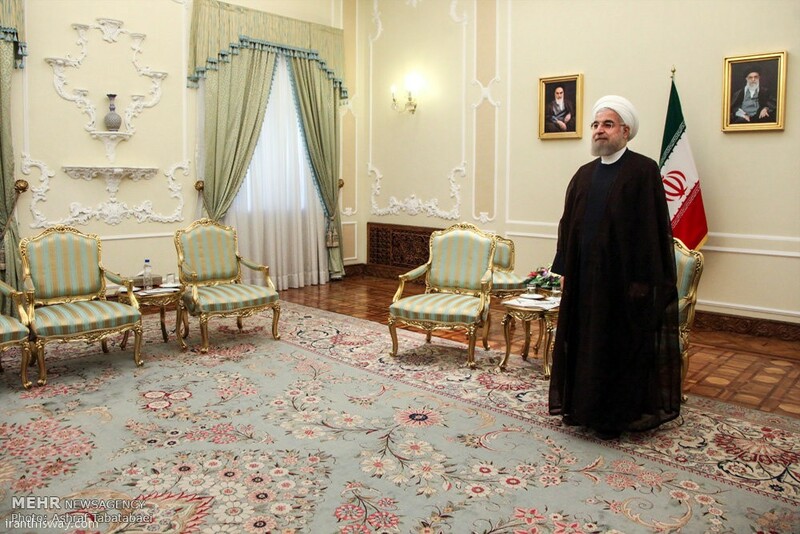 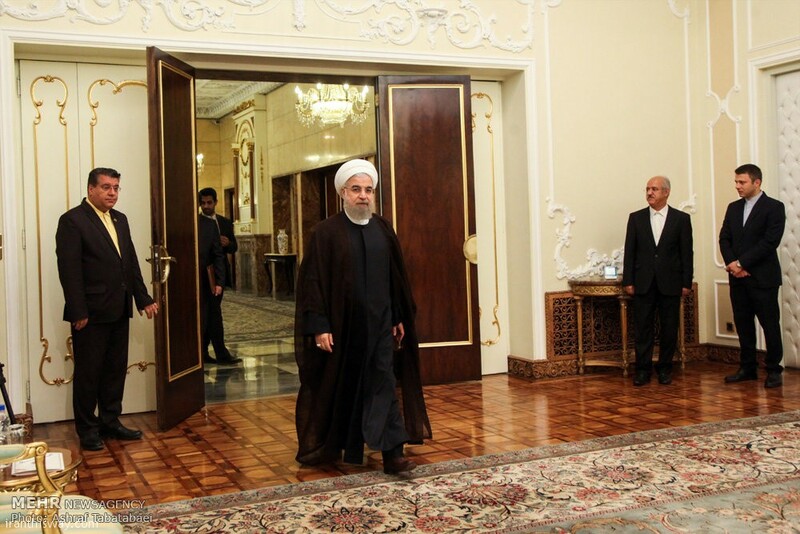 Dr Rouhani also mentioned the Syrian and Iraqi crises in dealing with terrorism and added: “Everybody knows which countries inside and outside the region are helping terrorists and where their weapons are supplied from”. 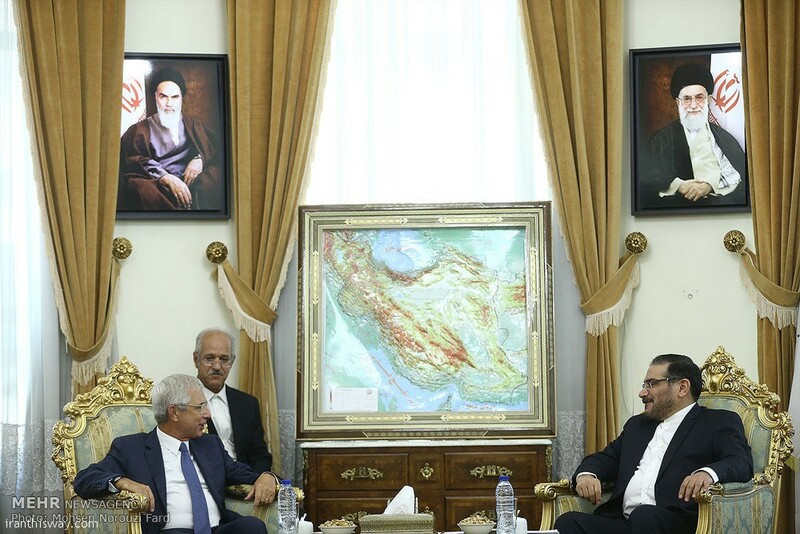 “Stability in the region depends on cutting terrorist supports. 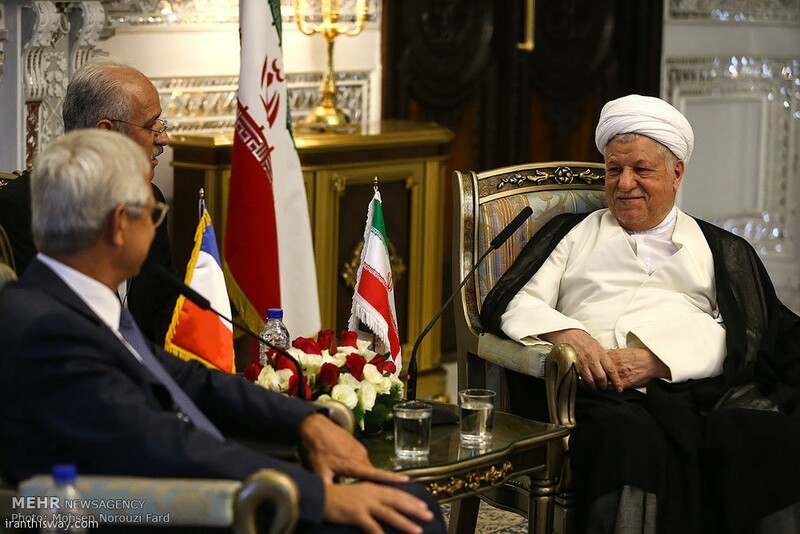 Defeating terrorism, restoration of stability and security to the region, return of the displaced to their houses and people’s resolve and votes are among common goals in the region,” he continued. 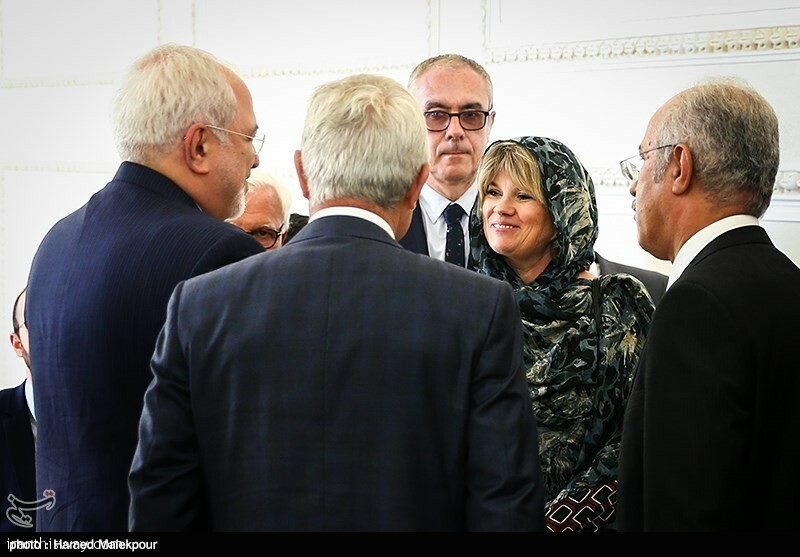 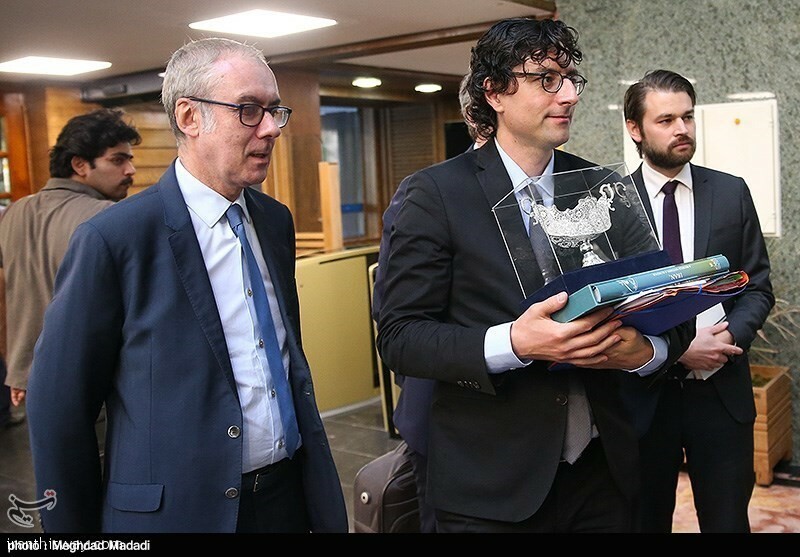 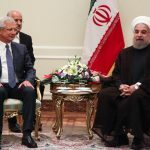 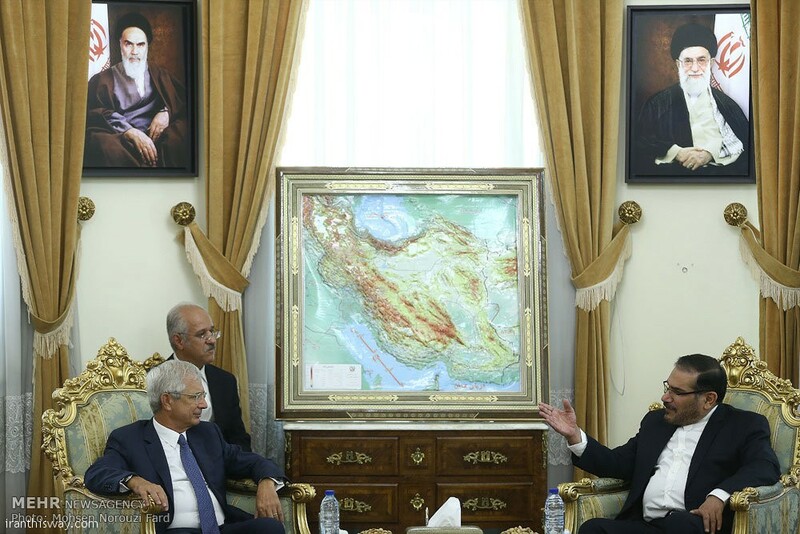 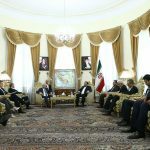 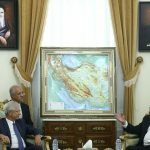 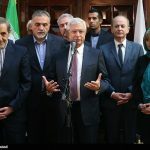 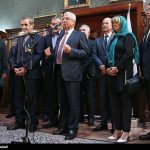 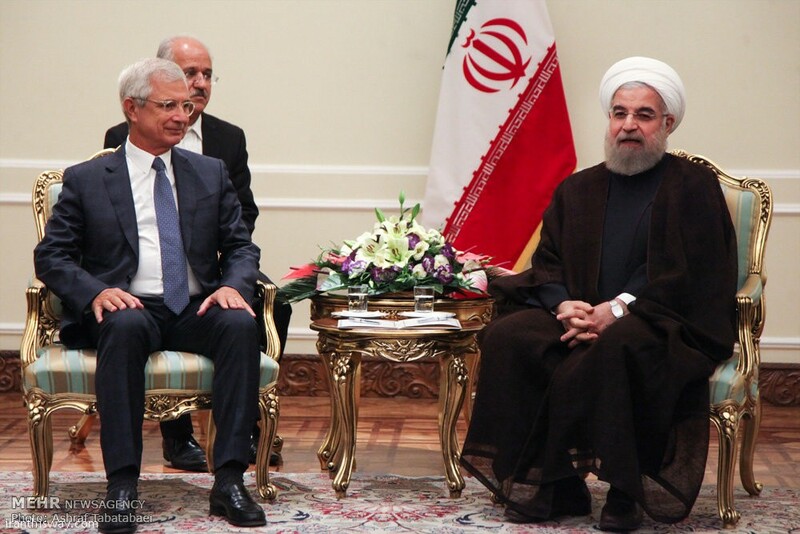 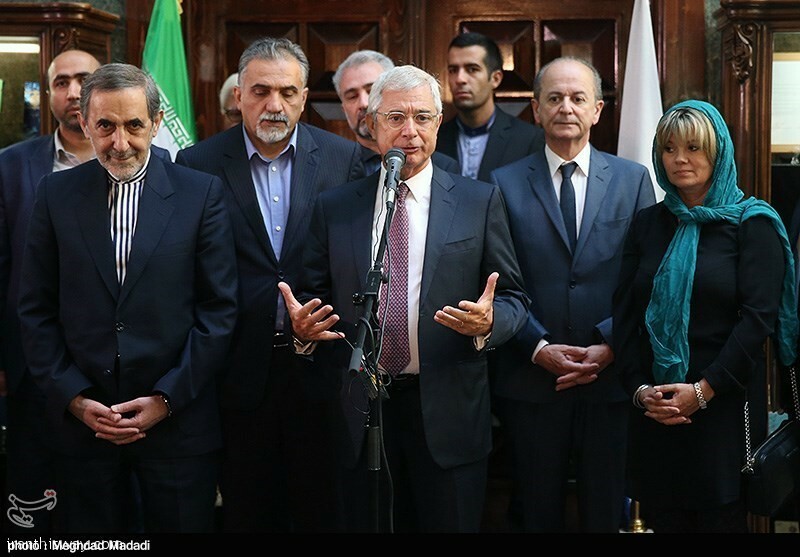 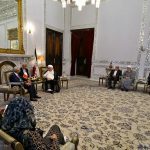 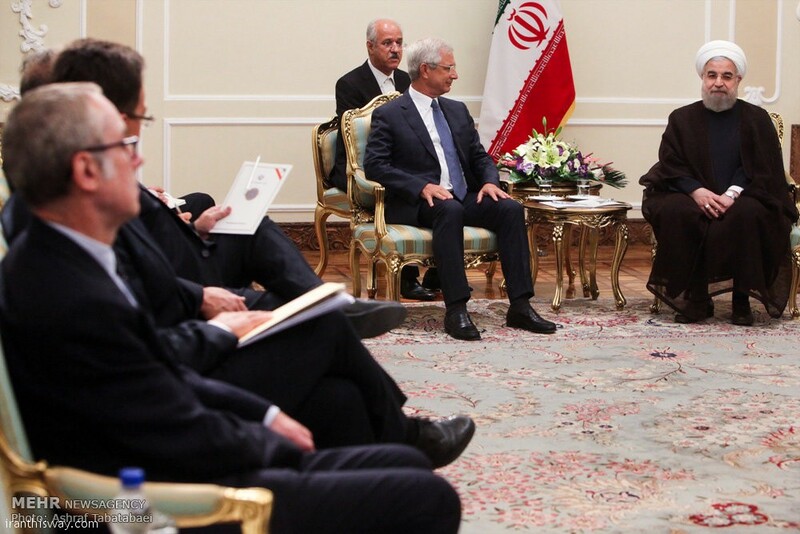 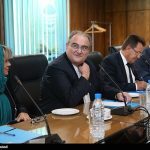 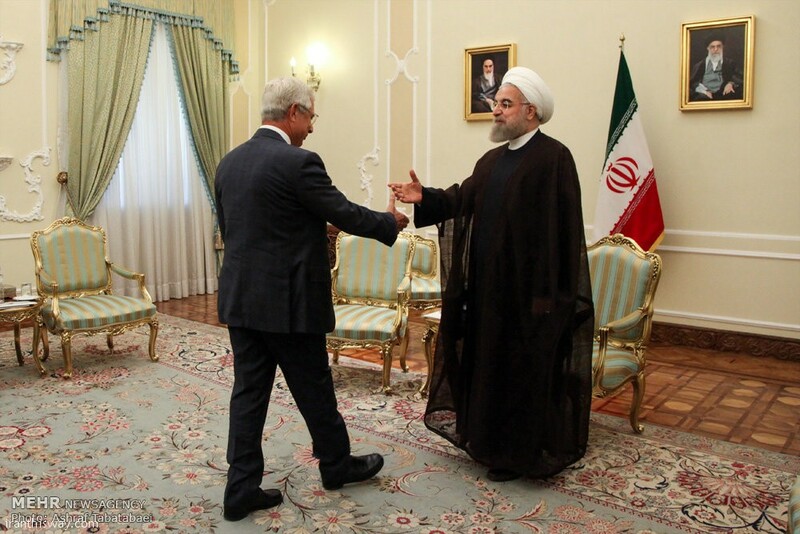 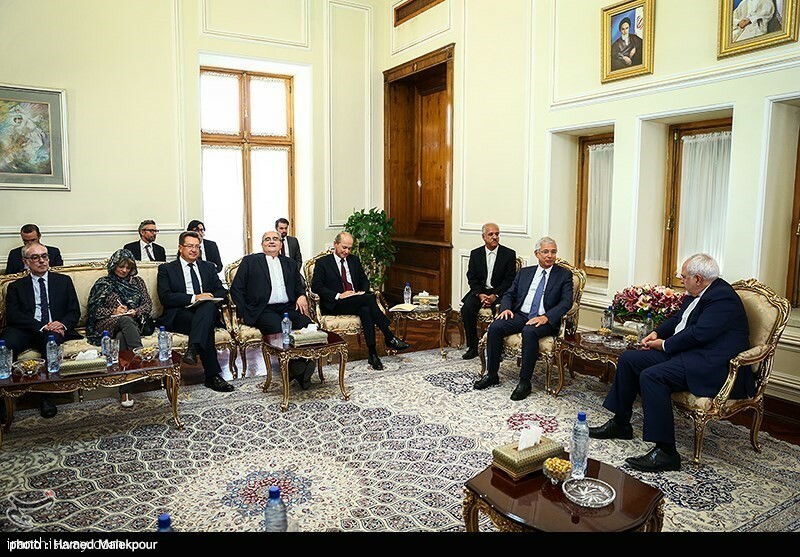 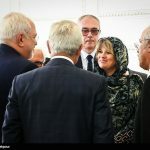 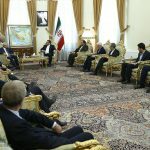 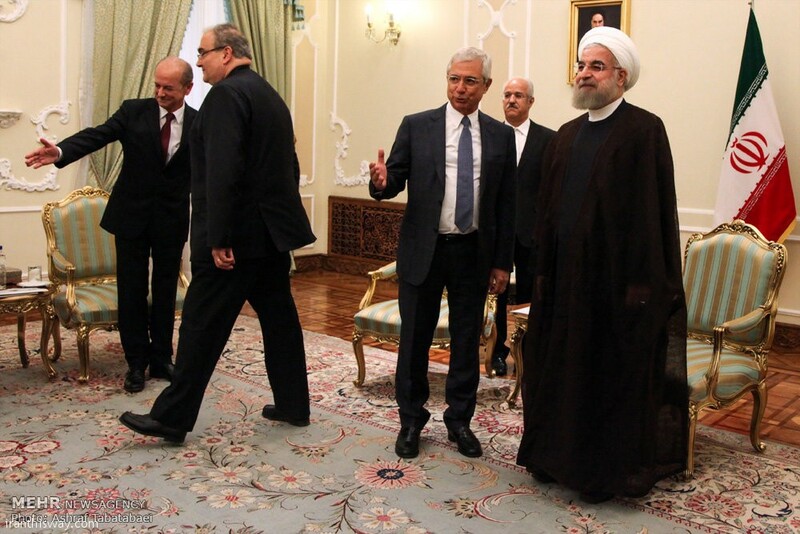 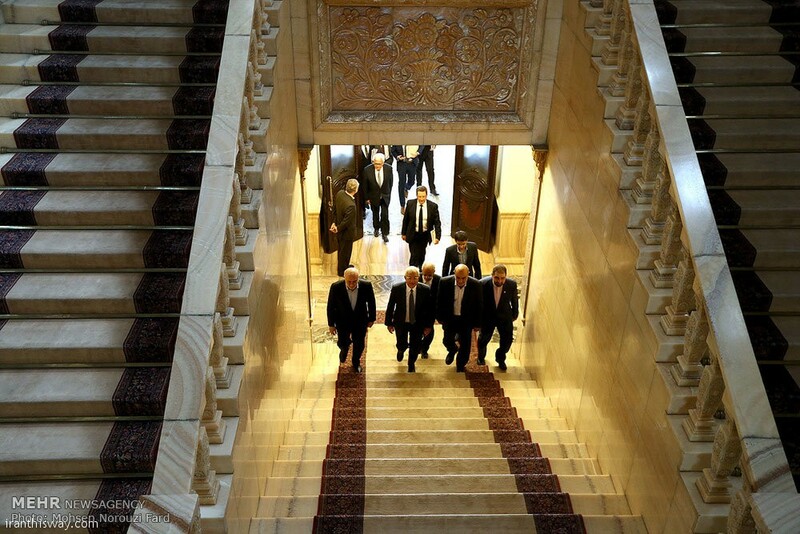 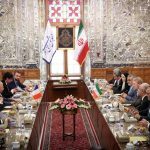 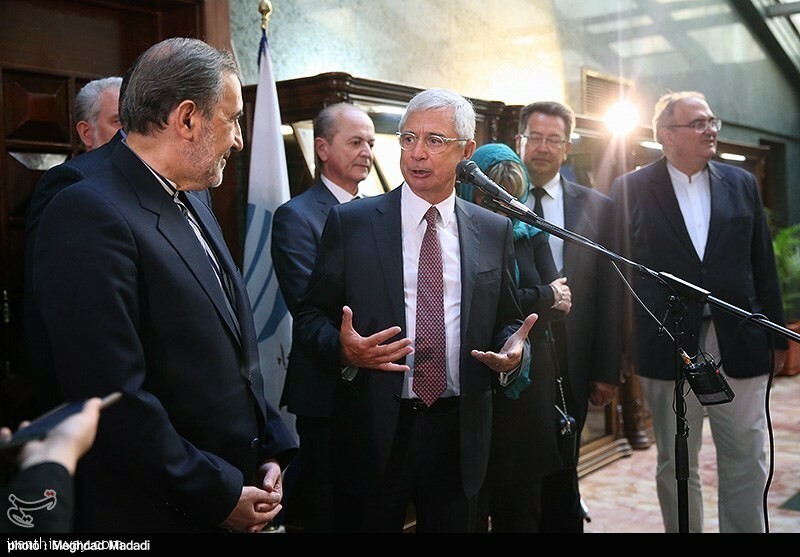 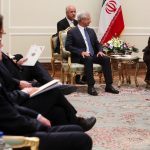 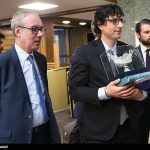 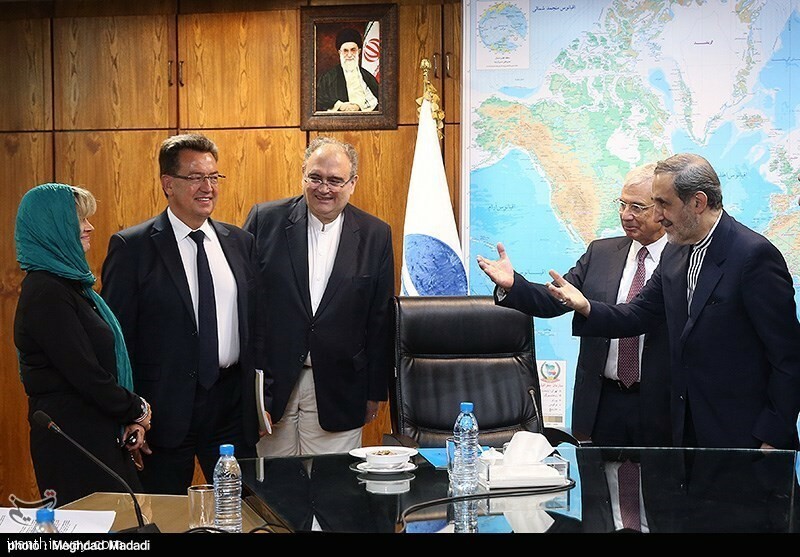 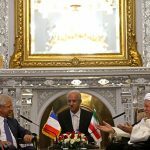 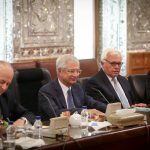 In the same meeting, President of French National Assembly Claude Bartolone also referred to friendly and historical relations between the two countries and said: “French people have always been fascinated by Iranian history and show great interest in Iranian art, literature, architecture and trade with Iran”. 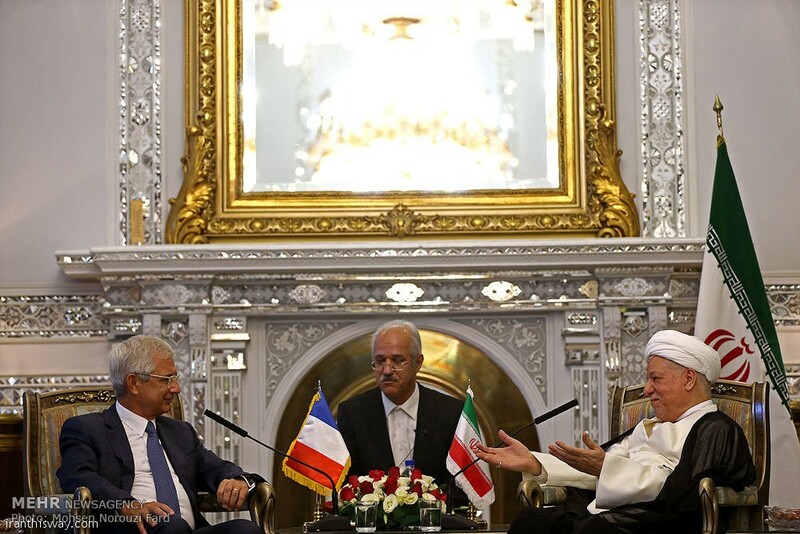 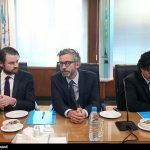 “French National Assembly strictly supported Iran’s negotiations with the P5+1 and currently we are seriously following the implementation of agreements made in JCPOA,” he continued. 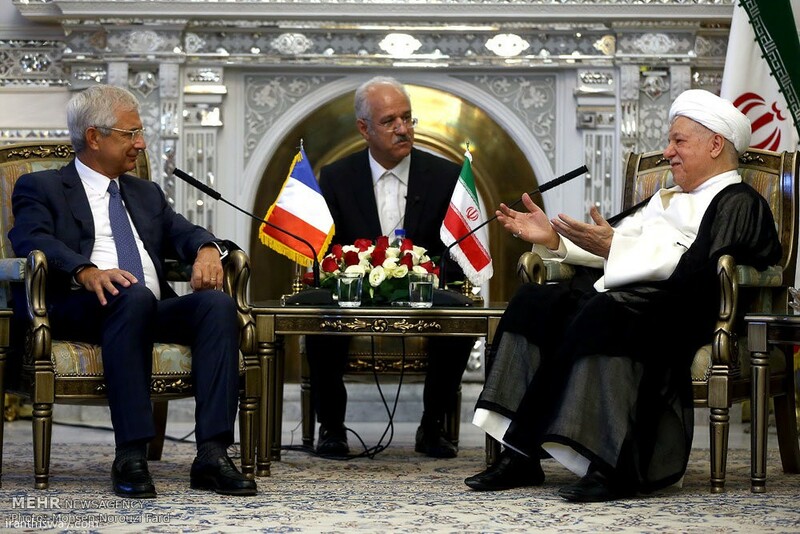 He also said: “We back top French banks to develop cooperation and investment in Iran”. 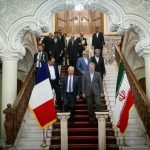 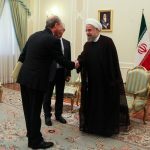 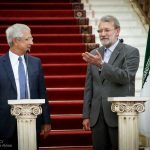 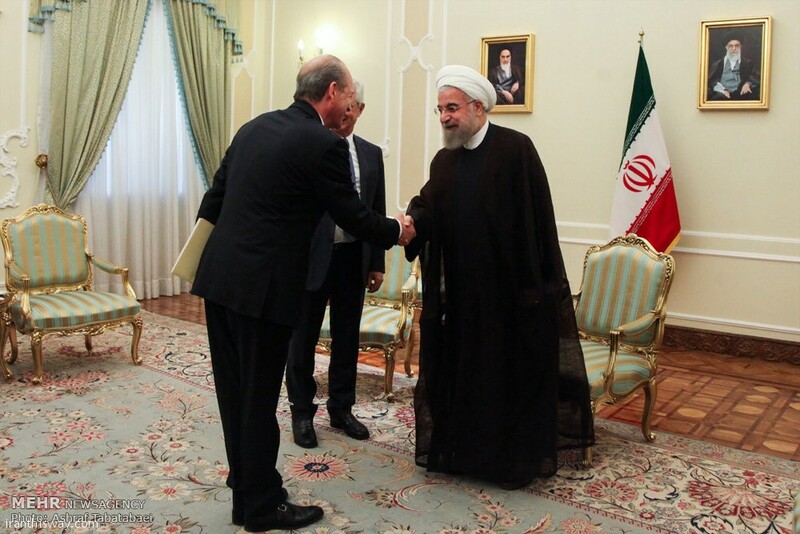 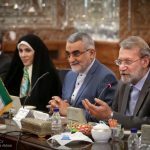 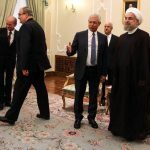 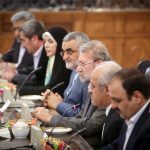 President of French National Assembly added: “Iran’s involvement is essential for the region’s stability and security”. 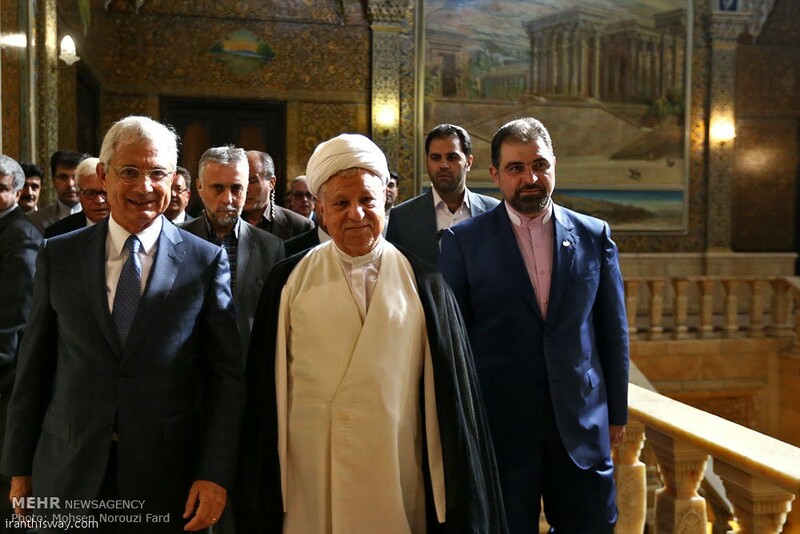 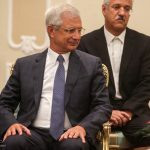 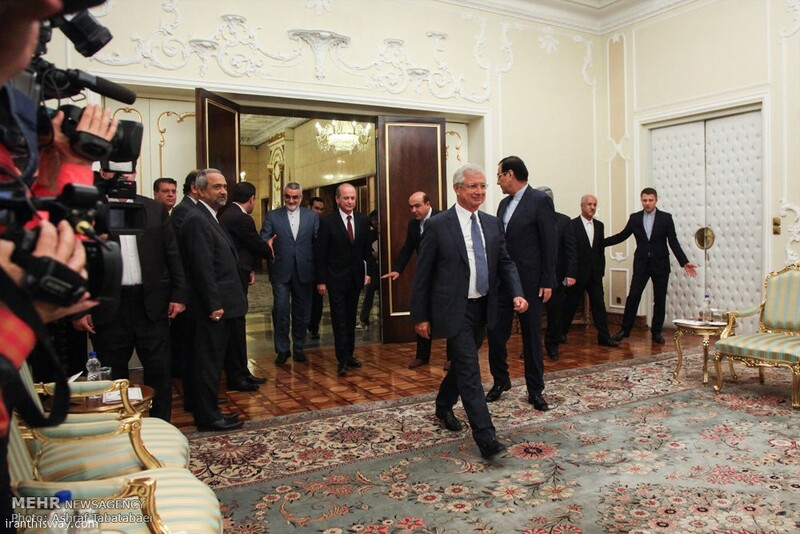 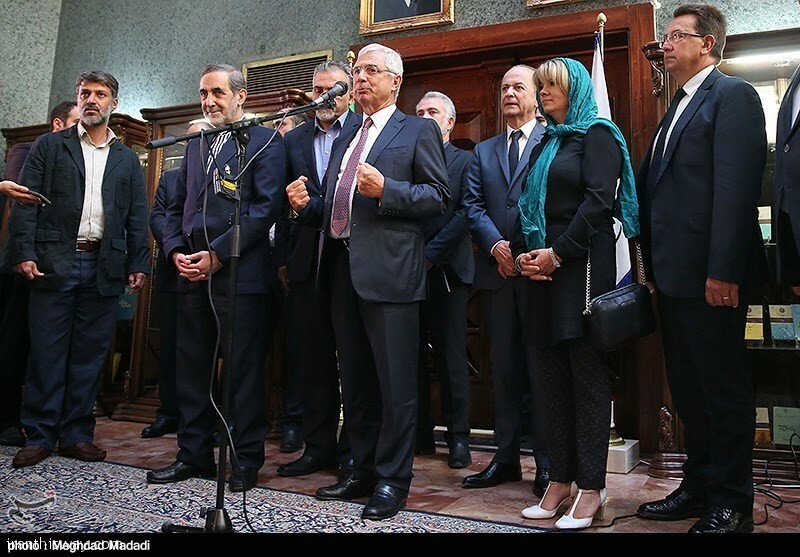 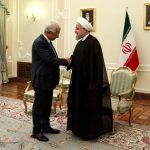 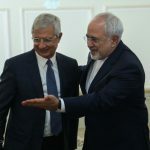 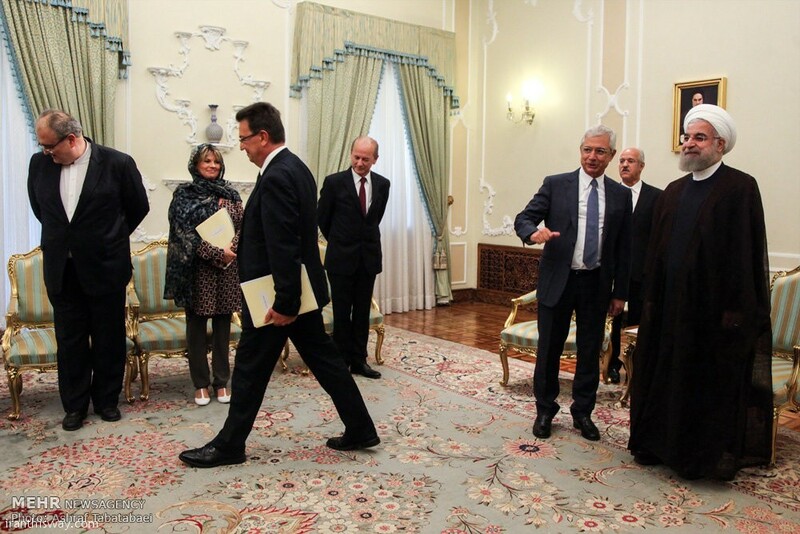 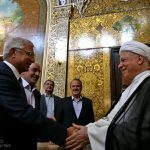 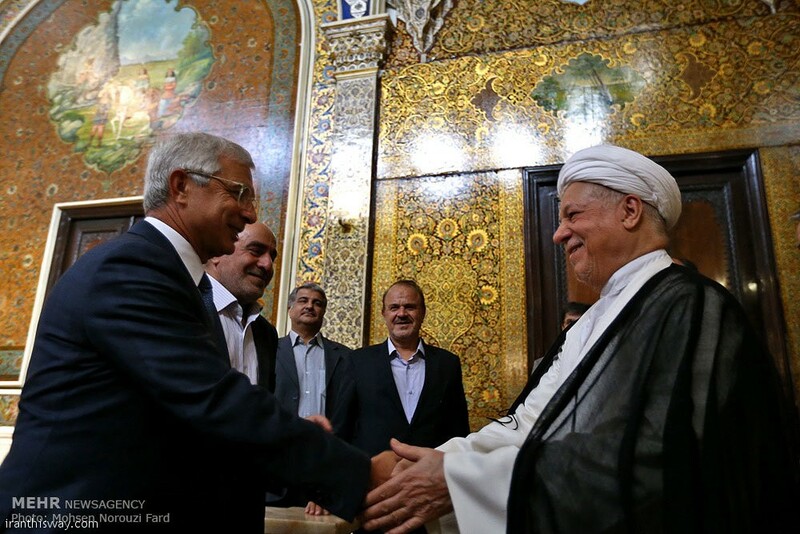 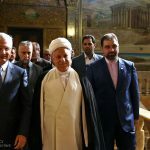 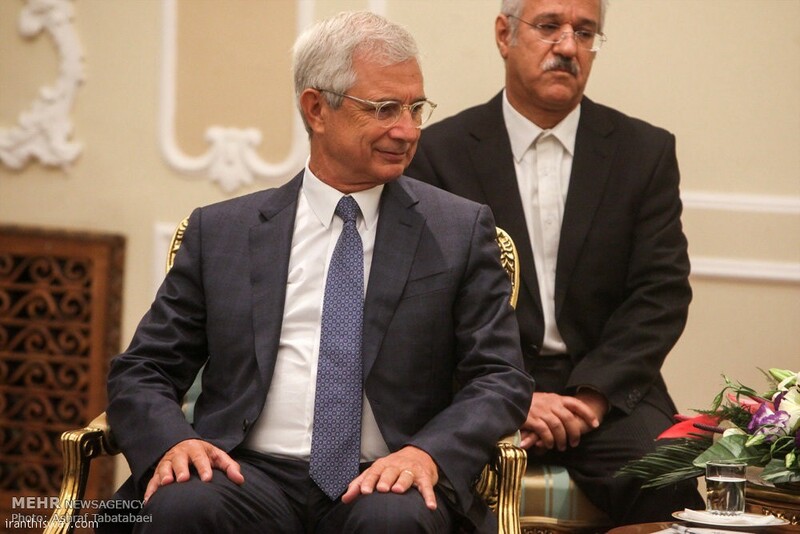 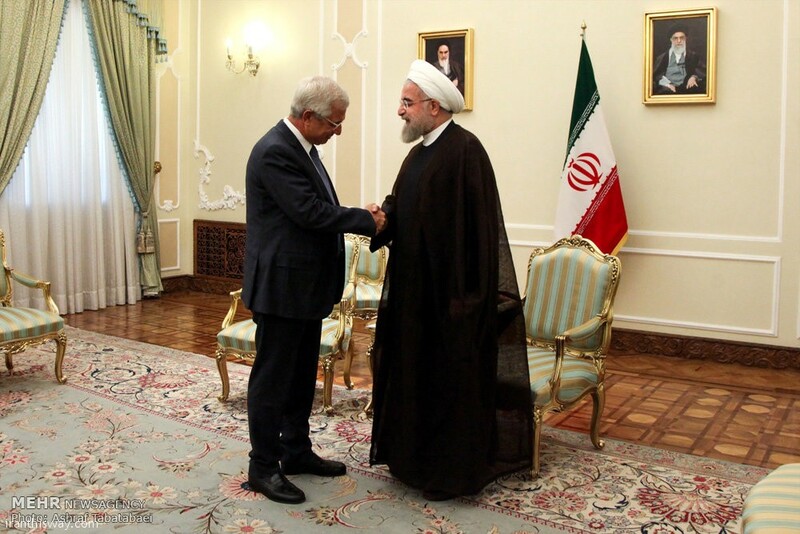 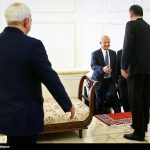 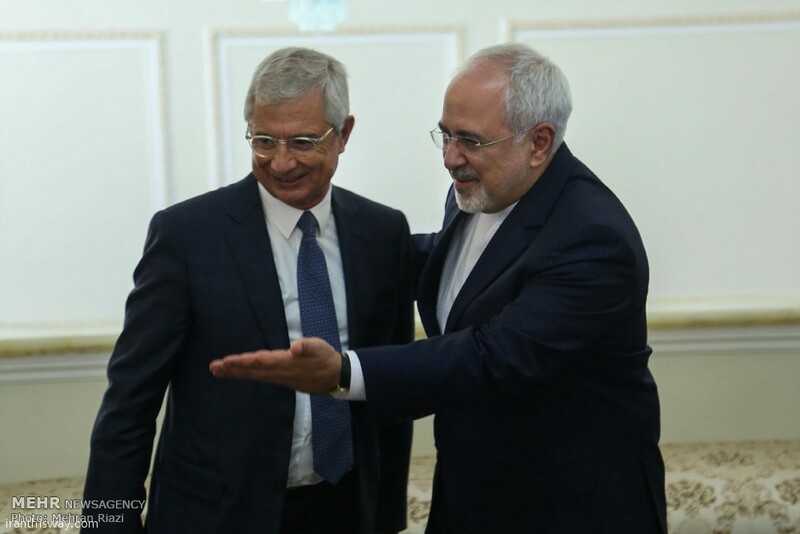 The President of French National Assembly Claude Bartolone who is visiting Tehran met on Tuesday with the Chairman of Iran’s Expediency Council Akbar Hashemi Rafsanjani. 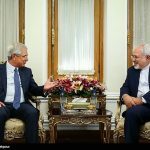 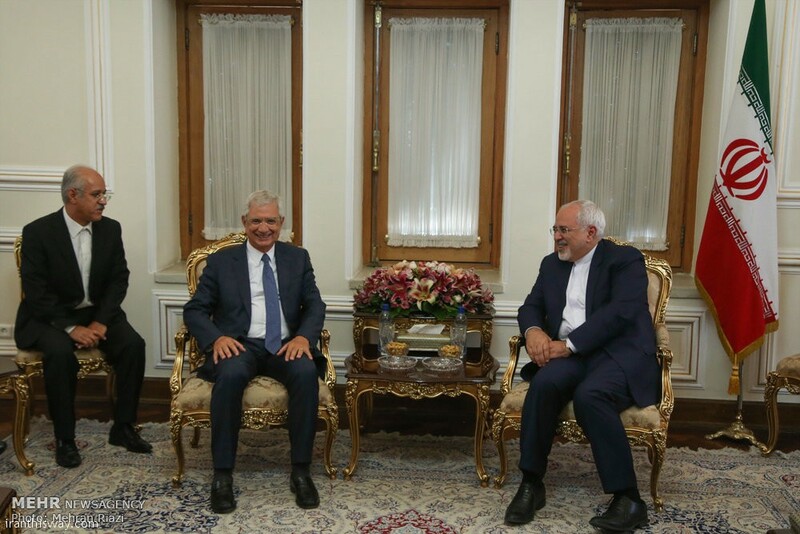 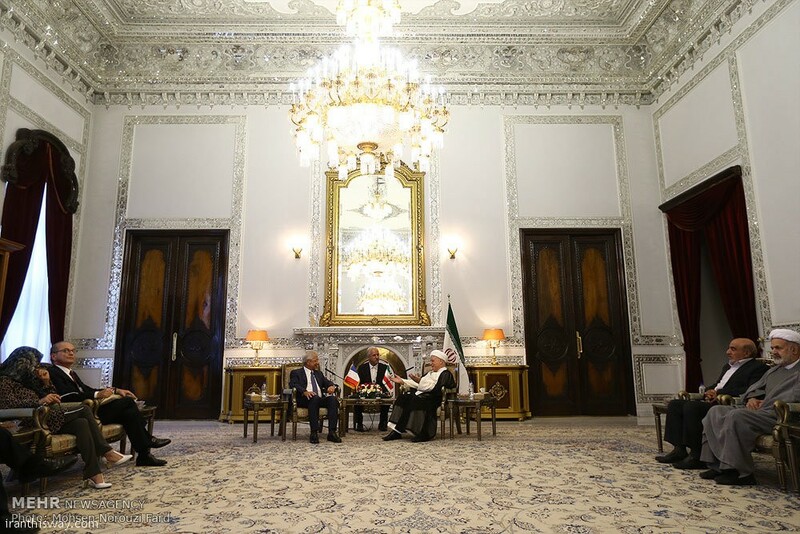 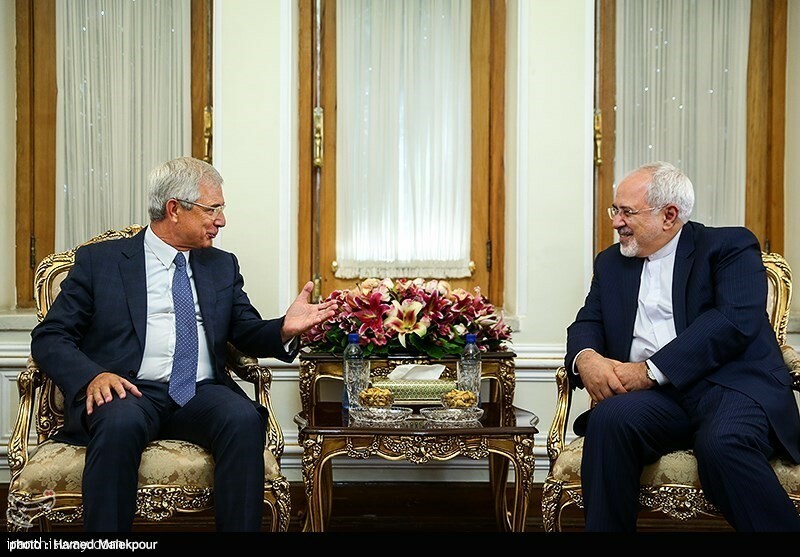 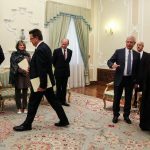 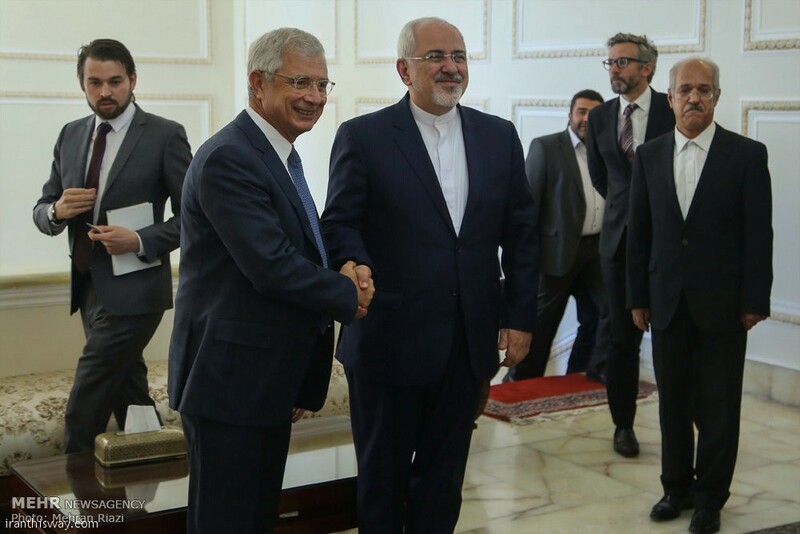 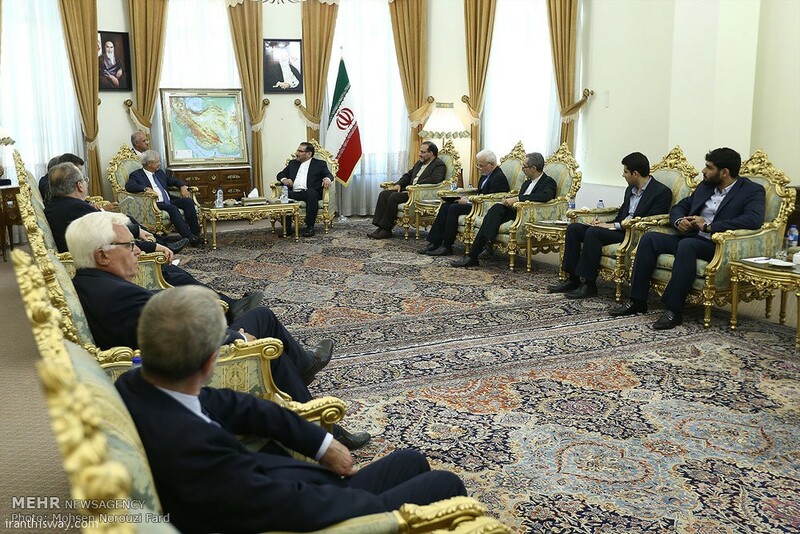 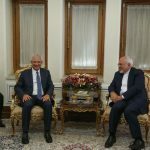 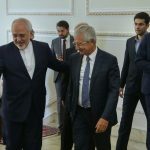 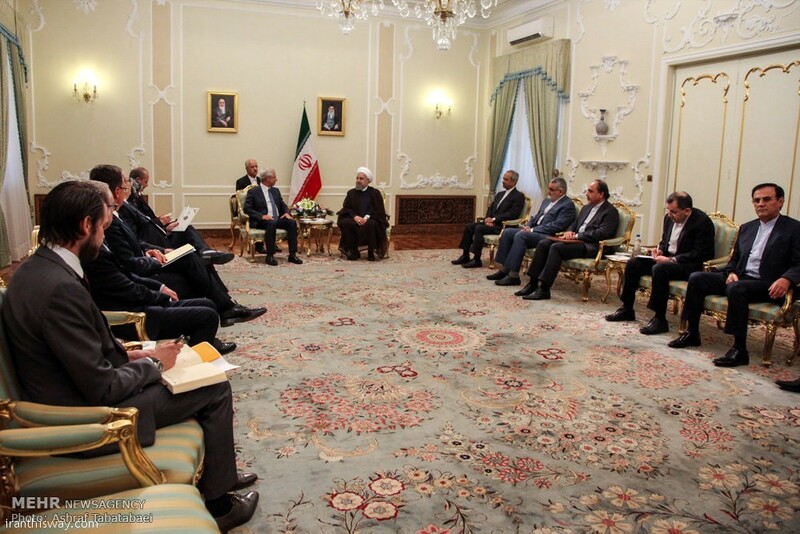 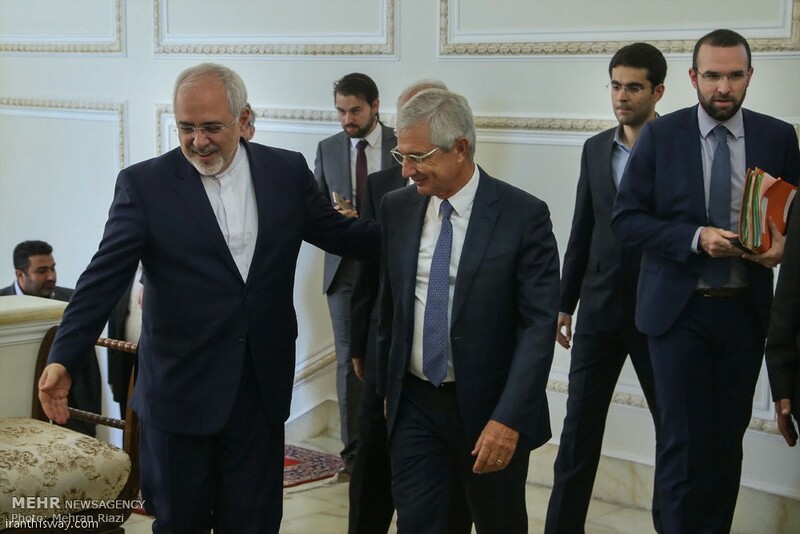 Foreign Minister Mohammad Javad Zarif and Claude Bartolone, President of French National Assembly, met in Tehran on Tuesday. 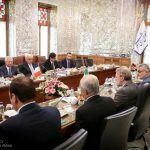 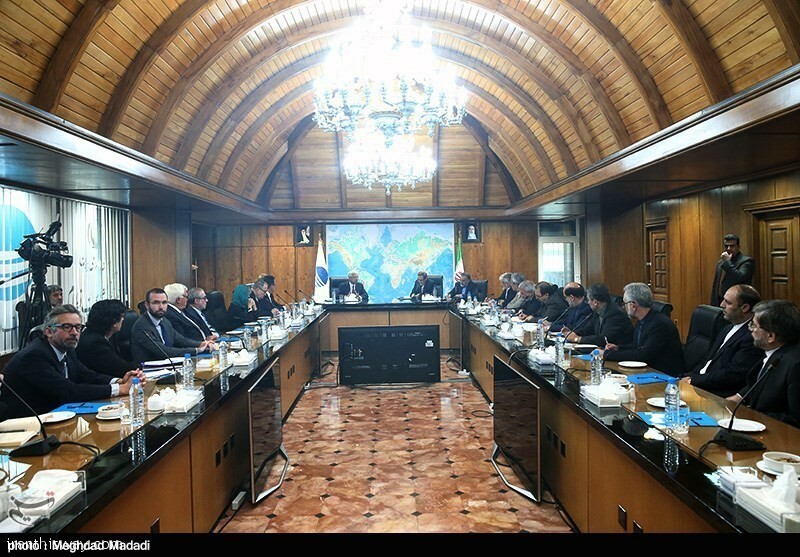 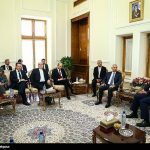 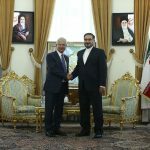 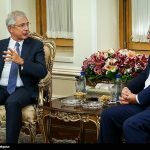 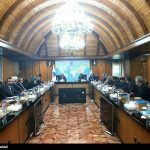 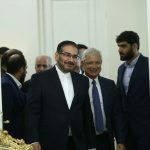 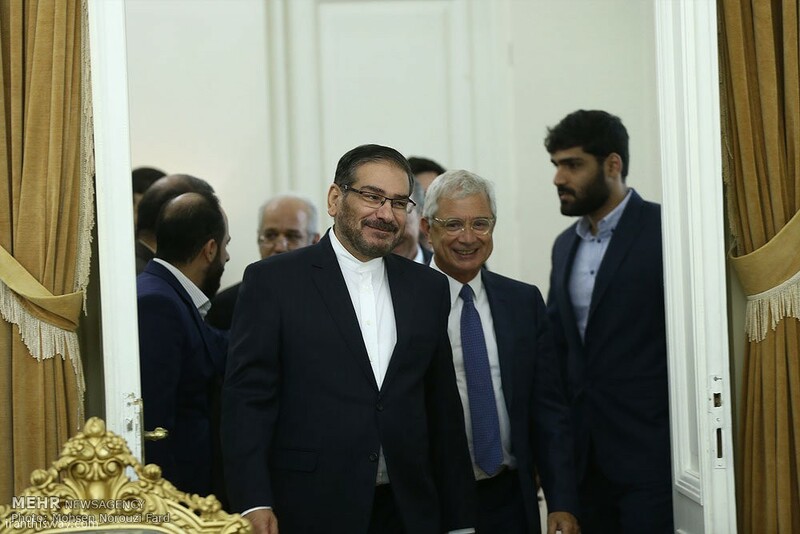 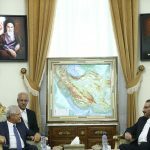 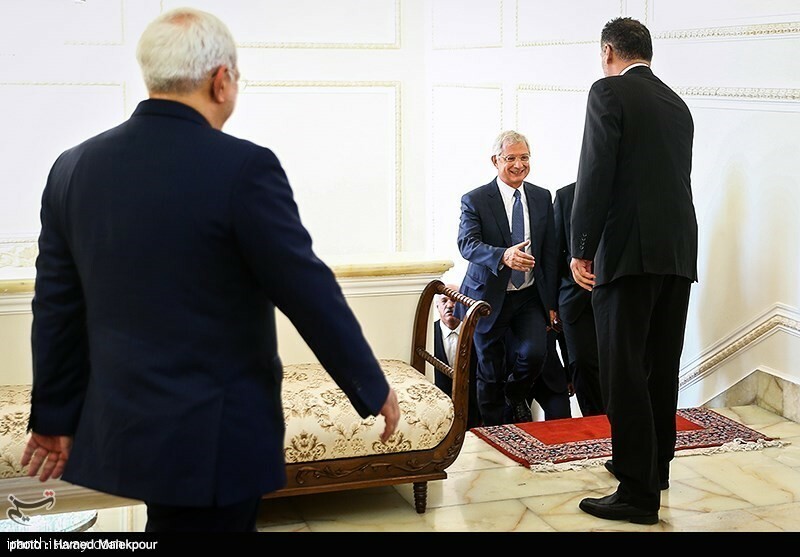 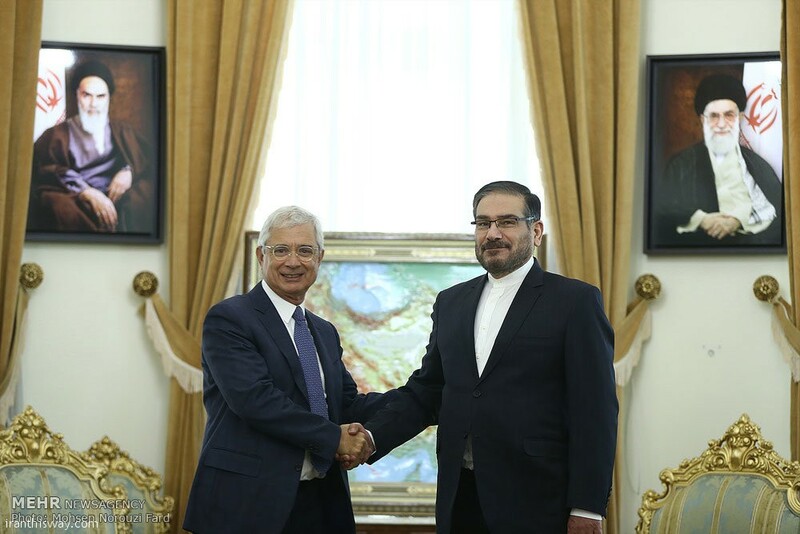 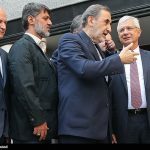 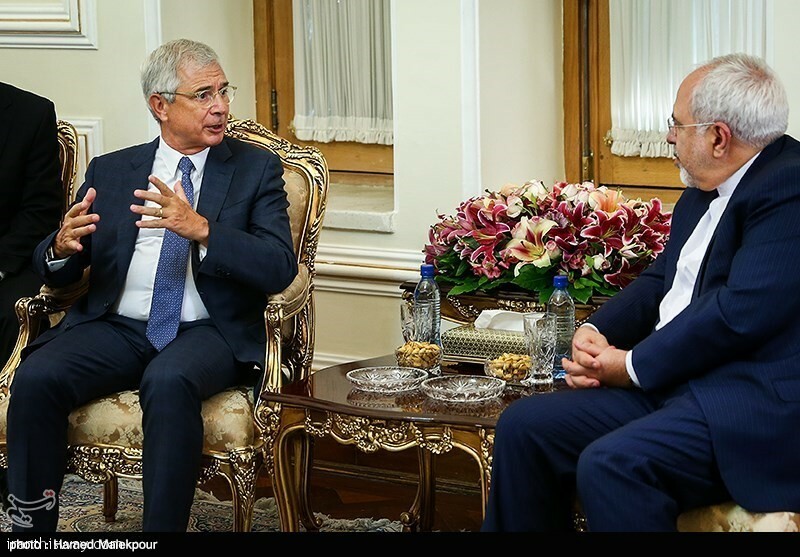 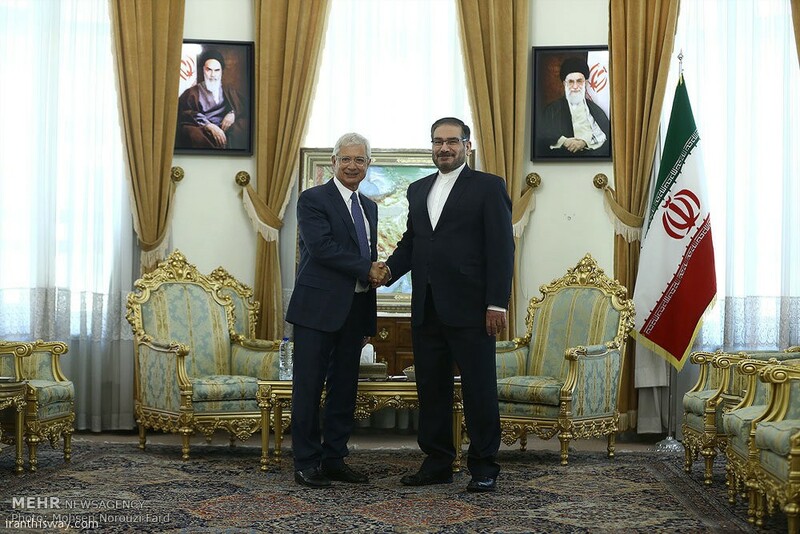 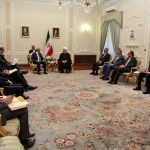 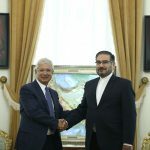 Iran’s Secretary of Supreme National Security Council (SNSC) Ali Shamkhani received the visiting President of French National Assembly Claude Bartolone on Tuesday in Tehran. 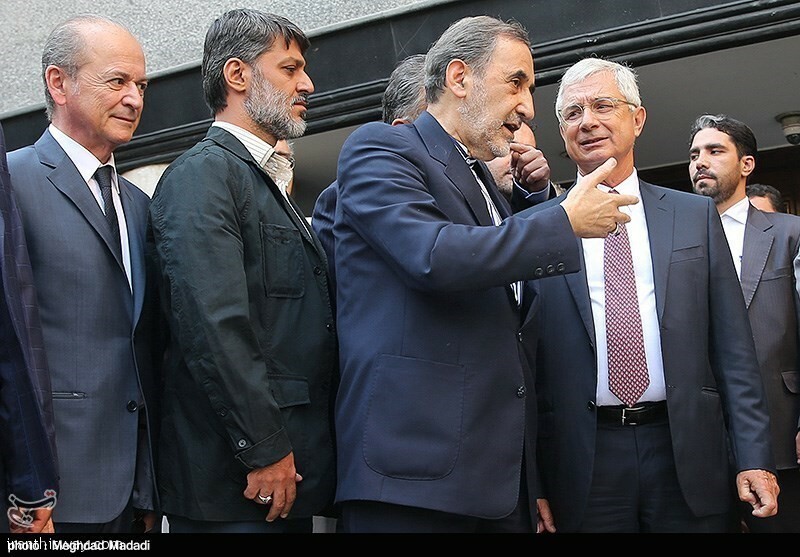 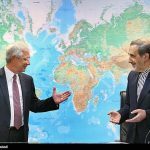 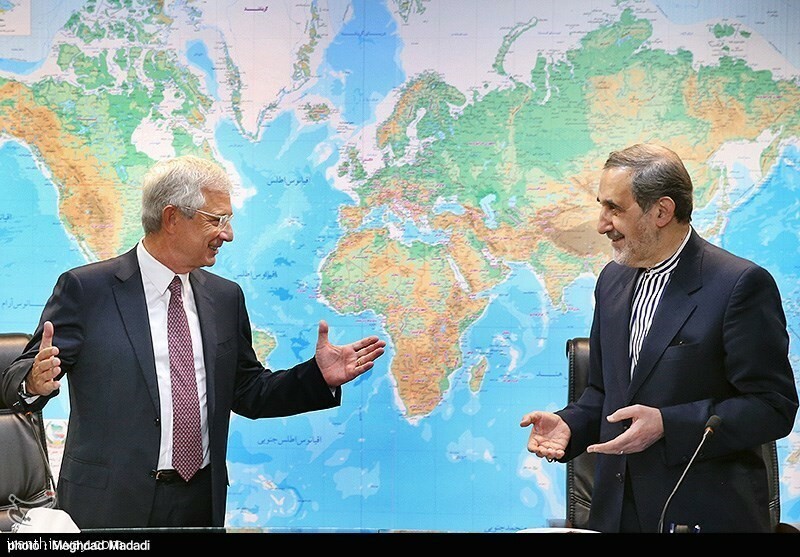 Bartolone made the remark in a press conference in Tehran after a meeting with head of the Center for Strategic Studies affiliated to the Expediency Council Ali Akbar Velayati. 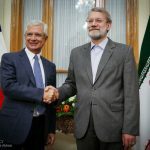 He said that the new round of durable relations between Iran and France has begun following nuclear accord between Iran and the international parties in Vienna. 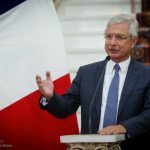 The French parliamentarian expressed deep concern about deterioration of the humanitarian situation by terrorism and the difficulty the immigrants to Europe have been exposed to. 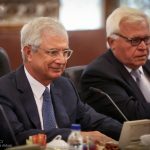 Bartolone said that Europe and France face global problem of terrorism and flow of immigrants and refugees. 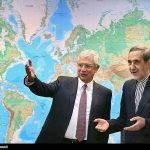 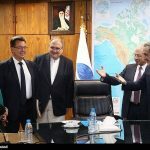 The key to the problem is the Islamic Republic of Iran’s cooperation with the international parties to help settlement of disputes by the diplomatic means as Tehran has rich experience in helping resolve the regional crises, he added. 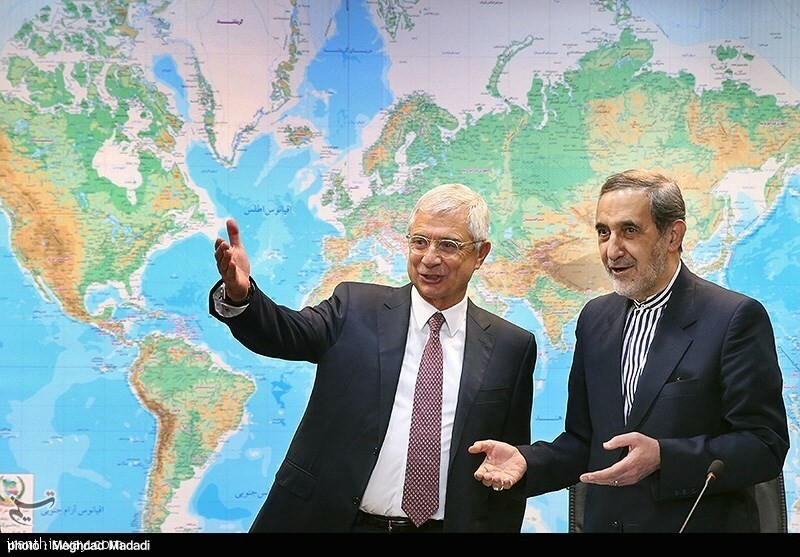 He noted that the world and countries of the region are today in need of Iran’s return to the international scene. 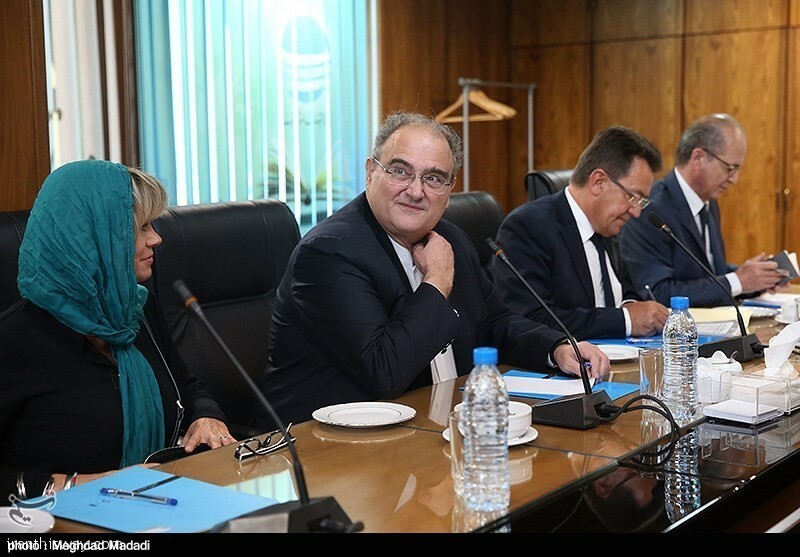 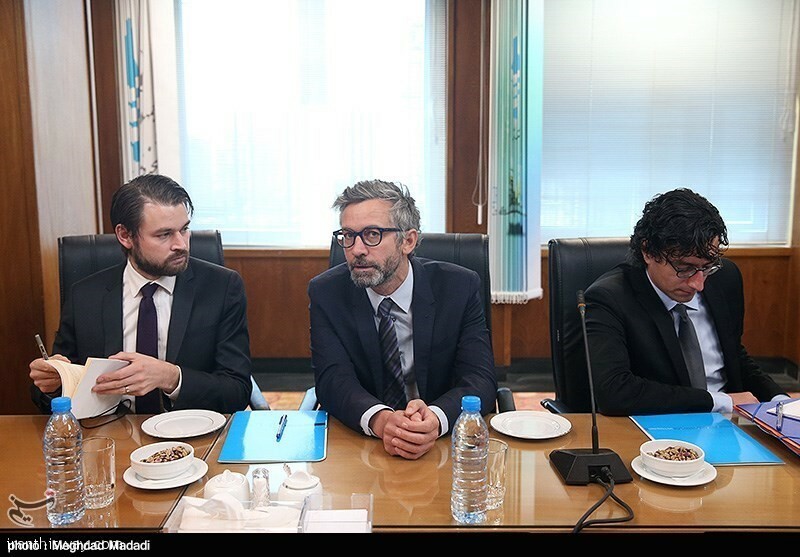 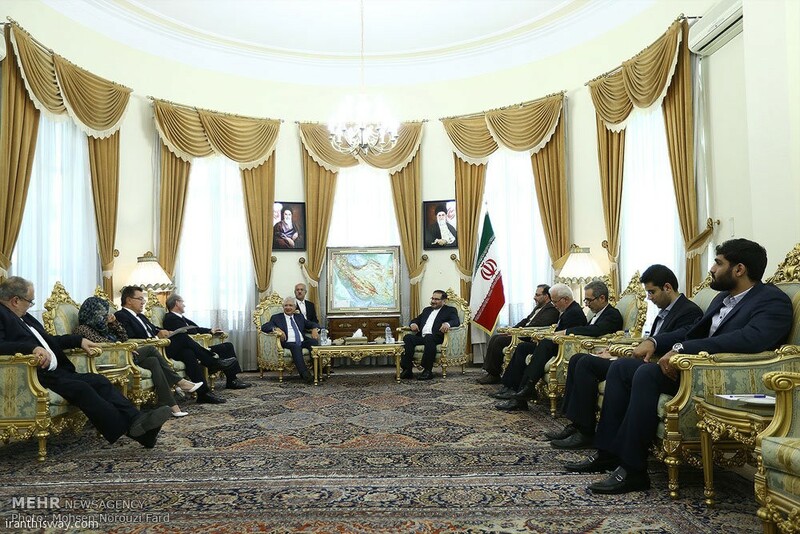 He hoped that good cooperation will start for investment and presence of French companies in Iran.